The True Green Alliance (TGA) considers the application of honest science to be the only vehicle that can provide mankind with an understanding of the natural world; and that can offer the information necessary to develop rational and effective methods to manage the earth’s living resources (both domestic and wild). TGA recognises the intrinsic value of all living organisms and their importance to civilisation; and believes these resources and humanity should be looked upon as an integrated and ecological-cultural-economic complex. TGA, therefore, believes that wild animals should be considered by society to be WILD “products of the land” just as cattle, sheep and goats, and cultivated plants, are TAME (or domestic) “products of the land”; and TGA believes that both should be managed and used wisely and sustainably for the benefit of mankind. Third – for the good care and sustainable “wise use” of animals – in that hierarchical order of priority. TGA supports and promotes the scientifically determined control of wild animal population numbers (by way of organised population reduction, culling, and acceptable harvesting practices). It supports and promotes regulated hunting, trapping and fishing (both recreational and commercial), provided these practices are sustainable. And it supports and promotes the sustainable legal trade in wildlife and its products. TGA believes that people have the right to pursue either consumptive or non-consumptive uses of their privately-owned wildlife (wild plants and animals) – as they see fit – provided such use is sustainable. TGA is concerned that the foundation elements of the animal rights philosophy contradicts all the principles and practices of successful wildlife management, globally; and that they promote bad choices within society regarding desirable current and potential human-wildlife relationships. They also create false expectations for wildlife population management; they erode society’s confidence in the decades of knowledge gained from extensive scientific exploration of wildlife and habitat management practices; and they seek to force change in accepted national wildlife cultures within human societies. that every individual animal has equal status regardless of commonality or rarity, or whether or not the species is native, exotic, invasive or feral. TGA notes that animal “rights” organisations, themselves, declare that it is their purpose to ABOLISH all animal “uses” (both domesticated and wild) by man. when an animal is killed (such as when an ox is slaughtered to obtain meat for human consumption) such killing is conducted in a humane fashion. Animal “welfare” organisations, therefore, do not preclude the “use” of animals for food, or for other cultural reasons, nor do they object to the management of wild animal populations, provided these “uses” can be justified and are achieved humanely. to promote human welfare and safety. The animal rights philosophy dictates that ALL animals be afforded the same moral considerations and legal protection, as those that humans enjoy. However, its adherents have not reached consensus with regard to which species are sentient enough to qualify for these protections. The animal rightists’ focused emphasis on individual animals fails to recognise the inter-relatedness of wildlife communities within functioning ecosystems; and they hold that protecting individual animals is more important than maintaining the health and vigour, and sustainability, of wildlife populations, species or ecosystems. For example, whereas practicing wildlife managers will automatically afford greater protection to an individual animal from an “unsafe” (or so-called ‘endangered’) wild animal population, than they would extend to one from a “safe”, “excessive” or “very common” species population, for animal rights advocates both these animal individuals are considered to be equally valuable and deserving of equal protection. The animal rightists’ viewpoint is that mankind should subsist on a vegetable diet alone. They are silent, however, about the massive land use alterations that would be necessary to feed the world’s human population purely on plant foods – if man is denied the consumptive use of animals. They are equally silent about the dramatic and continued loss of wildlife that would ensue if the world’s wildlife habitats are converted to such intensive agriculture. The animal rightists’ viewpoint also does not tolerate the use of animals in scientific and medical research, whether designed to benefit humans or animals. And they are not at all perturbed by the fact that the curtailment of these “research uses” will inhibit wildlife science and wildlife management programmes, and a vast range of other human endeavours and progress. The conflict between many tenets of the animal rights philosophy, and the science of wildlife management, is profound. Established principles and practices of wild animal population management, both lethal practices (such as culling, regulated hunting and trapping) and non-lethal techniques (such as conditioning or capture-and-marking for research purposes) are rejected out of hand by the animal rightists. In the USA, the ‘Public Trust Doctrine’ (PTD) is the foundation for many laws protecting wildlife. In other countries, similar protocols apply. The PTD is based upon the premise that wild animals are a public resource that should be held in trust by government, for the benefit of all its citizens. In South Africa direct private ownership of wild animals is legal provided the animals are contained within adequately fenced enclosures. In other countries, different laws pertain. Animal rightists philosophically oppose the concept of wildlife being the property of anyone – whether it be held as a public trust resource, or is privately owned. Instead, they advocate affording legal rights to all animals. Taken literally – if the animal rights demands were to prevail – there would be no legal framework for the maintenance of national parks and nature reserves, or for any kind of wildlife management practice – anywhere. If the PTD-type of legal framework, in any country, were to be thus voided, it would be difficult, if not impossible, for wildlife professionals to manage wildlife in any way at all; or to thereby protect human health and safety. The animal rights philosophy does not recognise the fact that man is an integral part of the animal kingdom; that he is part and parcel of the food chains and food webs of the natural world; or that human beings have the right (and survival necessity) to subsist upon BOTH the plants AND the animals with which they share their living environments. The animal rights ideal, therefore, is irrational and quite contrary to everything that is reasonable and natural. It is TGA’s considered opinion, therefore, that the philosophy of animal rightsism is totally incompatible with science-based wildlife management. And we believe that this opinion – together with the common sense rationale we have offered in support of it – should be enthusiastically embraced and propagated by society-at-large. Why? Inter alia, because, today, animal rightsism represents the biggest obstacle to the application of essential wildlife management practices on the African continent – practices that can save Africa’s wildlife into posterity. So… whereas, democratically, everybody in this world is entitled to his or her own opinion, nobody has the right to persuade others to their way of thinking by false and/or by (especially) coercive means – for THAT constitutes terrorism. And animal rightists, everywhere, are not averse to using “provocative” and “coercive means” to achieve their goals. They also practice a special kind of “racketeering”. 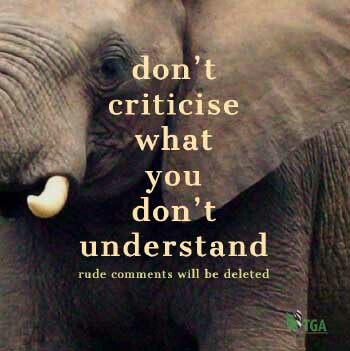 Leading up to the 2016 CITES meeting in Johannesburg, for example, a whole phalanx of animal rightist NGOs (all accredited to CITES) made false statements in their various propaganda machinery – to the effect that the elephant in Africa is facing extinction. This is very far from the truth. In southern Africa, for example, practically every elephant population is “grossly excessive” – which means there are far too many elephants: They are consequently progressively destroying their habitats; they are destroying their national park’s biological diversity; and they are still increasing in number. “Propaganda” has nothing to do with “telling the truth”. NB: Propaganda is the spreading of ideas, information, or rumour for the purpose of promoting an ideal – or injuring an institution, cause or person – by any means true of false. 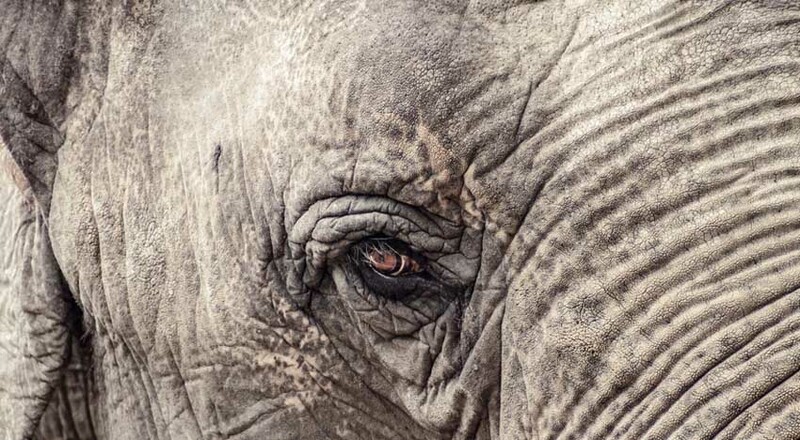 The statement that the elephant is facing extinction is a very highly charged and emotional proclamation – which has been constantly and greatly embellished with evermore exaggerated and yet more false reports, and heart-wrenching photographs of dead elephants with their tusks chopped out. Nevertheless, having “laid their trap”, the NGOs then institute clever programmes to milk the gullible public in the Western World of their hard earned pennies. They state that if they (The NGOs) can generate enough money (from public donations), they will “save” the elephant from its seemingly ignoble fate: by stopping poaching; by stopping all legal elephant utilisation; by stopping all legal elephant hunting; by putting a stop to the ivory trade; and by applying total preservation to all surviving elephants. By linking these appeals to CITES, it seems, gives the NGOs’ purpose some kind of greater legitimacy in the eyes of the uniformed public – and it helps them to loosen their purse strings. What is more, every success these nefarious NGOs achieve at CITES, gives them ever greater credibility. The fact that these appeals are constructed on a specially contrived illusion fabricated by the NGOs – that the elephant is “facing extinction” – the reversal of which is promised by the NGOs “if they get enough donations” – makes this practice (according to the American RICO law) a criminal act. “Racketeering” is one of 35 offences that constitute “organised crime” in the United States. These are the people who are starting to control wildlife management affairs in Africa! Overall, to achieve their objectives, animal rightists will have to force radical changes on the life-styles of most people alive today. They also cannot achieve their goal – to abolish all animal uses by man – without violating the legitimate rights of the vast majority of mankind; and they do not ever consider the gross economic and social consequences that their demands will have on civilisation as a whole. To allow such a state of affairs to operate within human communities, anywhere, in this day-and-age, therefore, is simply unconscionable. Special NB: All things considered, therefore, there is no place in responsible and civilised society for the animal rights doctrine. The Wildlife Society (USA) in August 2011.